"such a small gesture which can help change the entire future of a child, why would you not do it?" Our aim is for 900 students to benefit from the nourishment and nutrition that this meal would give them. As a child sponsor we will send you regular updates on your student and medical reports where relevant. Your sponsored child will tell you how your sponsorship directly helps them and their family. We ask for a minimum of 2-years sponsorship which will give the child some security. It really does work - in 2017, 4 of our sponsored students are going off to University - we are incredibly proud of our students and thankful to our sponsors! That makes a total of 6 sponsored students who are attending University! 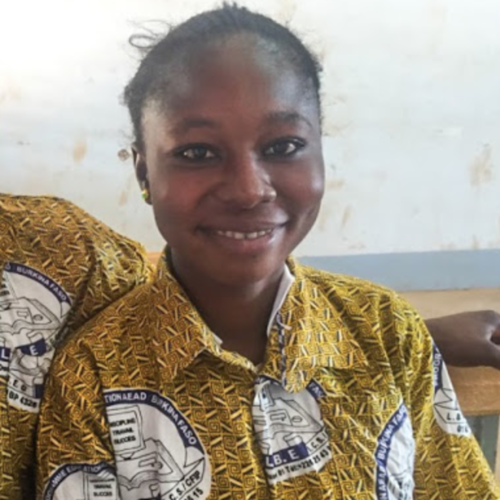 You can help children in Burkina Faso gain a quality education by sponsoring a teacher at Bethel School – helping to fund the teachers salary but also with the potential to support their development through mentoring and training. Students cannot receive quality instruction without well trained and motivated teachers. At Bethel School – being a charity run establishment – there is also the risk of a high turnover of the teaching team due to Government run (and therefore funded) schools paying a higher salary than at Bethel. Inconsistent teaching can lead to classes having less quality lessons and a decrease in motivation of the staffing team. In training a teacher you are not only supporting the children but also the teacher’s own development and future. A yearly salary for a teacher in Burkina Faso is around £4,500. You can sponsor a teacher by making a monthly or yearly contribution to the Teacher sponsorship fund, or perhaps you can bring your company or group together to jointly sponsor a teacher or group of teachers’ salaries each year.